As audio facilities move away from professionally built studios to homes, offices and other locations, the precise matching of listening components becomes more tricky. Many of these makeshift studios use budget monitors with no software for matching with the acoustic environment. This can result in audio sounding different from place to place. This audio inconsistency between listening environments is one of the major headaches in the transition from studios to a variety of recording locations. The problem costs more time and dollars than any other single item. This is why major high-end audio monitor manufacturers, like Genelec, have produced software for their monitors to make matching easier. Genelec’s SAM, for Smart Active Monitoring, can perform at high sound pressure levels with low distortion while exhibiting a clean and flat on-axis frequency response. Genelec’s Directivity Control Waveguide eliminates coloring diffractions, while off-axis the “smart” monitors produce only uncolored sound. This is all controlled by their Loudspeaker Manager software and AutoCal to control the monitoring environment. After automatic calibration, monitoring set-ups ranging from simple stereo to immersive audio will perform with the consistency from room to room with recallable settings. Not every studio, however, can afford technology using software like that made by Genelec. What about those with monitors costing from $200 to $700, which have no calibration software? There is a new solution from Sonarworks, a Latvian company that has been working on this issue for more than five years. Their newest product is Sonarworks SR Reference 4 ($299), new sound calibration software and a measurement microphone package launched this month that can standardize any brand of speakers and headphones to work together and sound the same. It’s available from pro audio retailers such as B&H Photo in New York City and Sweetwater in Fort Wayne, Indiana. Martins Popelis, Sonarworks vice president and co-founder, said the purpose of Reference 4 is to easily resolve the age-old industry problem of disparate sonic reference points for audio professionals. It sets the frequency response to be like completely neutral monitors in a treated room or calibrated professional quality headphones. First, the calibration of headphones is done using a profile pre-measured in the Sonarworks lab. One looks down a list of major headphone monitors and models. If yours is found, simply select it and the calibration profile is set. It’s that simple. The speaker calibration profile is set by the user with the Sonarworks microphone and measurement software. It takes a bit longer, but stays set when you are finished. The software employs a speaker measurement methodology that captures sound from 37 data-source points. These have been pre-determined to be the optimal point count providing accuracy and measurement repeatability. "The entire professional audio community is acutely aware of the fact that every room and every headphone invariably has the effect of coloring sound. This has had an enormous negative impact on both costs and productivity — not to mention creative workflow. We estimate that at least one-fifth of the effort in the recording industry is spent dealing with translation issues," said Popelis. Sonarworks SR was designed to align the audio industry on a common audio reference that works with accuracy across different locations, devices and operators. If widely adopted, it could reduce the need to check mixes on different listening systems. The standard is made up of patented sound measurement technology and professional grade signal processing. The result is an accuracy (+/- 0.9 dB) among different monitors, users and locations. Popelis said though the process is currently proprietary and available only from Sonarworks and its dealers, the company is seeking ways to expand it to be a universal standard for audio producers. An important point about Sonarworks technology is it should not be used with another manufacturer’s auto calibration software. If you use Genelec’s SAM technology, do not use the Sonarworks technology. The same is true with other manufacturers as well. Sonarworks SR was designed to be used alone. The calibration microphone, said Popelis, is individually calibrated at the factory and comes with its own serial number that matches its calibration profile. A microphone is packaged with the $299 package. There are also headphone only packages for $99 and a three-license Reference 4 studio package without microphone for $249.00. Reference 4, which runs on the Mac or Windows platforms, also works with virtually any DAW. The most efficient way is through plug-ins. Included with the package are the AU, VST, AAX Native and RTAS formats. Sonarworks said more than 20,000 professional recording studios throughout the world are now using their software. Many professional users are at the top of their field. 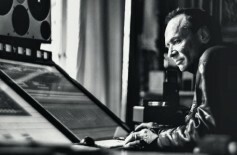 Rafa Sardina, a twelve-time Grammy award winning producer and audio engineer who has worked with Stevie Wonder and Lady Gaga, endorsed the new software. “Sonarworks SR brings us a much needed new standard on headphone calibration and compatibility," he said. 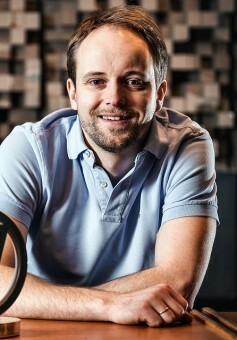 Mark Needham, a mixer and producer with eleven Grammy nominations, called Sonarworks SR “an awesome tool for managing playback options for monitoring.” Other smaller, non-music freelancers who sign on for remote editing for live events such as major sports programming, can use Reference 4 to make sure their audio is consistent with others at other remote locations and main broadcast centers.